Leading Manufacturer of engine lab equipments from Pune. 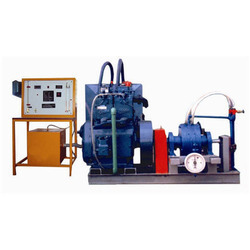 We are well known manufacturer and supplier of premium assortment of Engine Lab Equipments to our clients. The offered range of equipment is available to our clients at very moderate costs. This is stringently tested by our controllers in order to dispatch flawless range at clients end. Looking for Engine Lab Equipment ?